We painted this nursery in a town house in Canterbury for young couple who are expecting their first child. The simple grey and white colour scheme is elegant and gender neutral and the simple shapes and touches of bright colour make it fun for children and adults alike. This mural took us three days to complete. 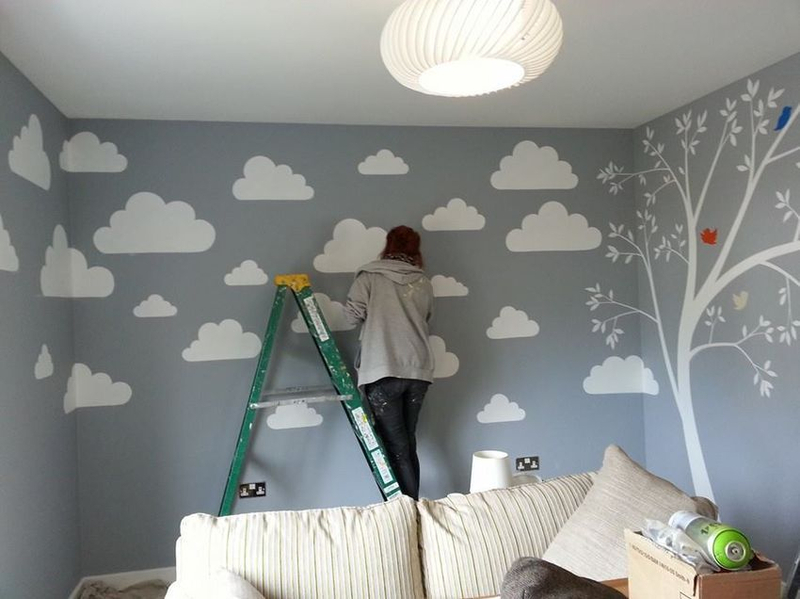 Below is another grey and white silhouette nursery that we did for a couple on St Mary's island. 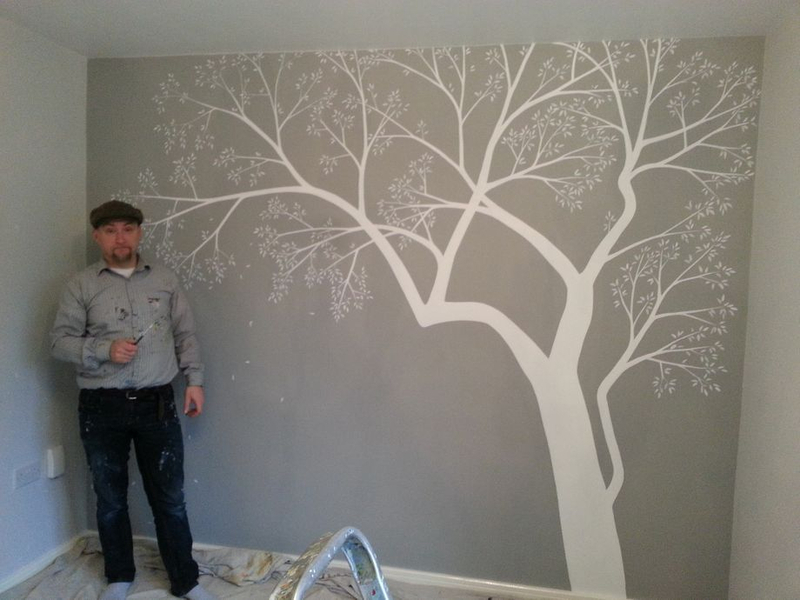 We painted the whole room ion two shades of grey and then painted this pretty blossom tree on the darkest wall.